Community Shuttles in the Tri-Cities, they are a’changin’ – bringing new route names and new routes to Port Moody and north Coquitlam. A rose by any other name… let’s take a look! 179 Coquitlam Central Station/Buntzen Lake and 182 Moody Centre Station/Belcarra take the place of the C26. 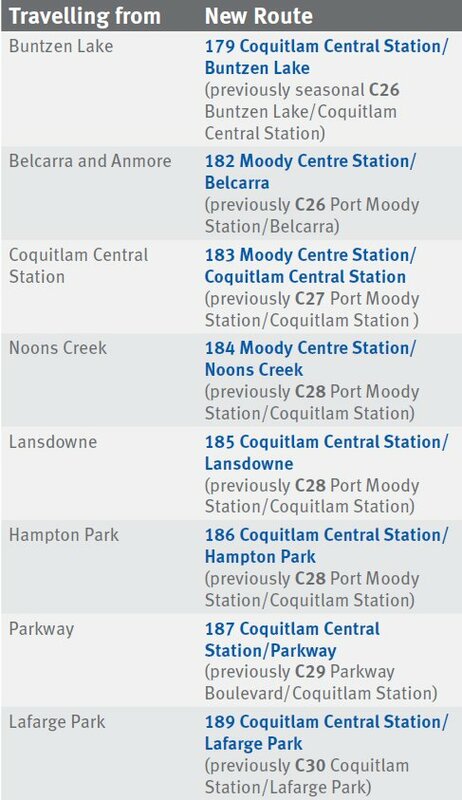 183 Moody Centre Station/Coquitlam Central Station and 185 Coquitlam Central Station/Landsdowne will provide service to areas previously served by the C27. 184 Moody Centre Station/Noons Creek and 186 Coquitlam Central Station/Hampton Park will be the new name of the C28. 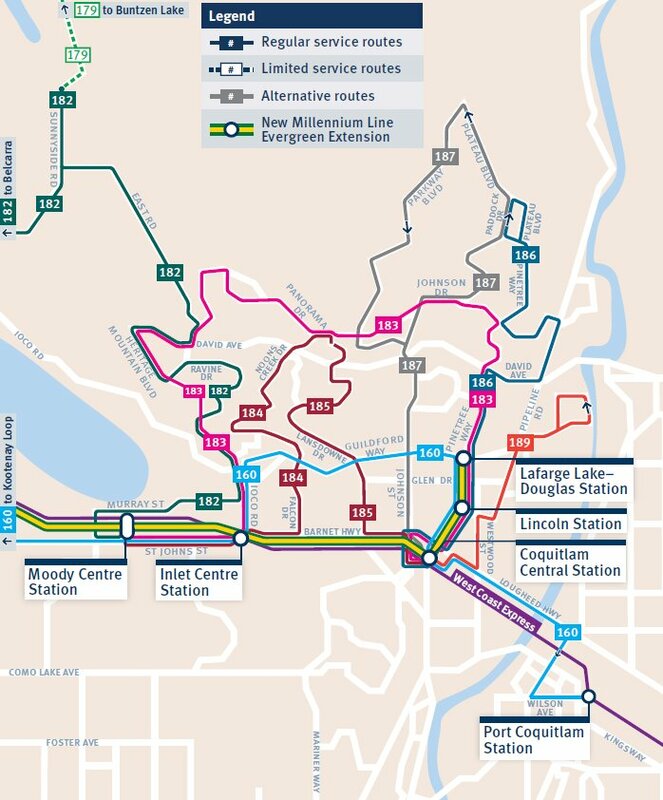 The 178 Port Moody Station/Coquitlam Station route is discontinued. Be sure to check out our next Bus Route Buzz installment as we look at Anmore and Belcarra service. Lots more information about bus service changes in our Facebook live stream with Denis the Planner. Check it out!